With the advent of Internet of Things (IoT) and Web 2.0 technologies, there has been a tremendous growth in the amount of data generated. 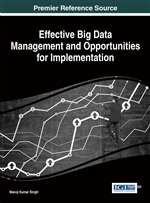 This chapter emphasizes on the need for big data, technological advancements, tools and techniques being used to process big data. Technological improvements and limitations of existing storage techniques are also presented. Since the traditional technologies like Relational Database Management System (RDBMS) have their own limitations to handle big data, new technologies have been developed to handle them and to derive useful insights. This chapter presents an overview of big data analytics, its application, advantages, and limitations. Few research issues and future directions are presented in this chapter. Storage and retrieval of vast amount of data within a desirable time lag is a challenge. Some of these limitations to handle and process vast amount of data with the traditional storage techniques has led to the emergence of the term “Big Data”. Though big data has gained attention due to the emergence of the Internet, but it cannot be compared with it. It is beyond the Internet, though Web makes it easier to collect and share knowledge as well data in raw form. Big Data Analytics (BDA) is all about how these data can be stored, processed, and comprehended such that it can be used for predicting the future course of action with a great precision and acceptable time delay. Marketers focus on target marketing, insurance providers focus on providing personalized insurance policies to their customers, and healthcare providers focus on providing quality and low-cost treatment to patients. Despite the advancements in data storage, collection, analysis and algorithms related to predicting human behavior; it is important to understand the underlying driving as well as the regulating factors (market, law, social norms and architecture), which can help in developing robust models that can handle big data and yet yield high prediction accuracy (Boyd & Crawford, 2011).